A themed helicopter flight is an experience you never forget. 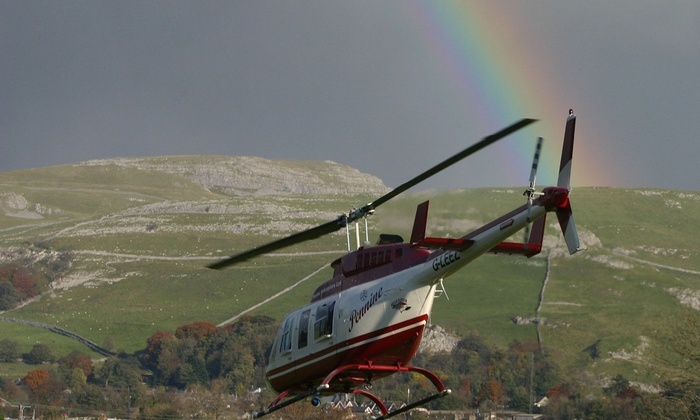 Forget all other modes of transport or those long-winded walking tours, a helicopter is the way to see the sights and take in the glorious landscape found right here in the UK. Not everyone hops into a helicopter to get around, which is what makes these flights so special. They’re the perfect gift to celebrate a birthday, anniversary, a proposal, or simply to say thanks and show your appreciation for a friend or a loved one. This is a day you’ll all remember forever! What’s It Like to Ride in a Helicopter? Helicopters are impressive and a whole heap of fun. 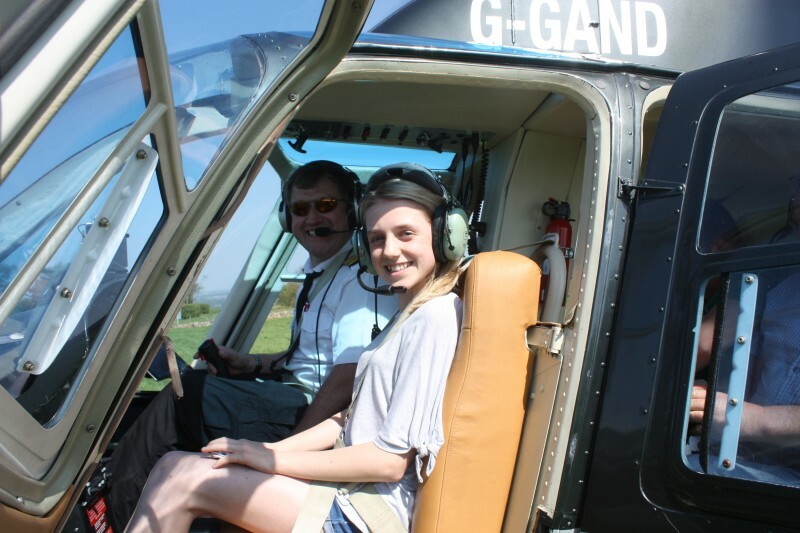 A helicopter experience is different to anything else you’ve done before, which is why many people feel nervous before the flight. Don’t panic, this is a totally normal feeling. To help you deal with the adrenaline, here’s a breakdown of what you can expect on the day. A helicopter is unique in the way it travels through the sky. It’s able to fly in any direction, making it a different experience to any other commercial flights you may have been on. The differences are blatant from the very start, as there isn’t any steps or air bridge walkway to walk across to enter the helicopter. You climb into the machine with the aid of footplates, assistance will be provided if you need helping to launch up the steps. Please get in touch with you helicopter experience provider if you have any concerns over accessibility. Helicopters come in all sorts of sizes. The helicopters used for a themed helicopter flight usually hold up to five people in the back, with an additional seat next to the pilot in the co-pilot spot. Those in the back will see the sights beautifully thanks to the large windows, providing stunning panoramic views. The person in the co-pilot seat will be in the cockpit with the pilot and this experience is slightly different to those in the back. A headset will be provided allowing the passenger to speak to the pilot, listen to the air traffic control and see the views in all their glory through the unbeatable panoramic screens. The seat you choose is up to you, but not all flights will have the option of the co-pilot seat. The conditions of the day do have an impact on the flight, which is why it’s essential for you to call on the morning of your flight to check everything is running as planned. The last thing anyone wants is a substandard experience, so flights will be rescheduled if everything isn’t perfect. Sometimes the weather might not be suitable or other unforeseen circumstances can disrupt play. Don’t worry, you’ll still get this incredible opportunity to see the sights from the air, just on a better day! Give yourself around 15 minutes to check in, so plan your journey accordingly. Each passenger will need to listen to all the safety information, covering all the essentials such as ‘don’t raise your arms above your head when you’re beneath the rotors of the helicopter’ and ‘don’t go wondering off on your own’. This information is there to protect you and ensure everyone has a brilliant time. There’s no runway, the helicopter will lift off the floor, which can be a rather strange but fun experience for those new to this mode of transport. The rotors will rotate for some time before lift-off, and you may be surprised by how noisy they are. Your ears will be protected thanks to the headset you’re provided with, so be sure to keep them on! Once clearance is given, the helicopter will float up in the air and you’ll be zipping around the area. It doesn’t take long to adjust to the movement and before you know it you’ll be lost in the views opening up below and above you. It really is an experience that’s difficult to put into words! The actual themed helicopter flight will vary depending on where you’re going and what sights you’re seeing. Typically, each themed flight will have a plan of places to fly over, giving you sights that not many get to see. Bring your cameras but do remember to take in the sights with your own eyes too. Experiencing these views through the lens or screen of your camera is not the same. You’re going to want to absorb as much of the experience with your own eyes as possible. It’s a great idea to bring a very small handheld tripod to attach to your phone or camera so you can position it comfortably in your hand focusing out the window and then forget about it for the rest of the ride. Please ask if you have any questions regarding brining recording equipment with you. Expect to see the land below in a whole new light. You may fly over medieval castles, the peaks of the Lake District or the historic landscapes that help to inspire Shakespeare. Where you go will depend on the helicopter experience you choose. However, the information above provides you with a little insight into what your experience will be like. What Themed Helicopter Flights Are Available? Flying over both Warwick and Kenilworth castles and taking in the Birmingham skyline. Co-pilot seat is available on this tour and the flight lasts for approximately 30 minutes. This themed tour takes place between April and October. The best 30 minutes you’ve spent taking in the glorious views, departing from Burnsall near Skipton. See Bolton Castle, Wensleydale, Marsham Moor and much more! Vouchers are available online through many experience day providers, making the flights a perfect gift to give to a friend or a loved one. Or book your own flight if it’s an experience you can’t live without. Family rides and group bookings also available!